The holidays can be a joyous — but hectic — time of year. While you’re juggling shopping for gifts, decorating your home and planning get-togethers with friends and family, it’s easy to forget to spend any remaining funds in your Flexible Spending Accounts (FSAs) before New Year’s Day. However, if you fail to observe the “use-it-or-lose-it rule,” you could forfeit any money left over in your accounts, unless a special provision applies. In addition to spending what’s left of last year’s FSA balance, November is the time of year when you need to decide on the types of spending/savings accounts and monthly contributions you want for 2017. Maintaining the status quo may seem like an easy choice — but is it the right choice? After reviewing the pros and cons of each, you may decide to take advantage of new benefits options offered by your employer, switch plans or contribute more (or less) to your account than in previous years. FSAs can be a win-win situation to employees and employers. 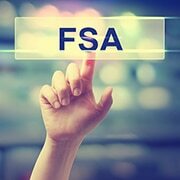 From an employee’s perspective, FSAs are funded with pretax dollars, allowing individuals to reduce their overall income tax liability, as well as payroll taxes. For example, if you’re in the 25% tax bracket and contribute $5,000 to your FSA, you save $1,250 (25% of $5,000) in income tax, plus as much as $382.50 in payroll tax (7.65% of $5,000), for a maximum total of $1,632.50. Distributions made for qualified expenses are exempt from tax. The use of FSAs can also help you maintain detailed records of expenditures. From the employer’s point of view, there aren’t any payroll taxes due on the amounts employees contribute to their FSAs. Thus, if a firm has ten employees in the same situation as described above, it saves as much as $3,825 (10 × $ 382.50) a year. In addition, offering these tax-savings accounts may boost morale, while enabling a firm to attract and retain more top-quality workers. Health care FSAs. Here, you arrange to have amounts deducted from your paycheck and deposited in your personal account. Then, the money can be used throughout the year to pay for qualified health care expenses. Generally, you’ll either use a debit card to pay for the expenses or submit receipts or other documentation for reimbursement. The account can be used for expenses incurred by an employee, a spouse, and dependents age 26 or younger. Prior to 2013, there was no annual limit on annual contributions to a health care FSA. However, the Affordable Care Act (ACA) imposed a limit of $2,500, subject to inflation indexing. The limit was $2,550 in 2016 and increases to $2,600 for 2017. An FSA can’t be used to cover health insurance premiums, however. As with medical deductions for income tax purposes, qualified expenses don’t include payments for over-the-counter drugs, vitamins, gym memberships or cosmetic surgery. Distributions paid for those items are taxable and subject to a 10% penalty if you’re under age 59½. Don’t confuse health care FSAs with Health Savings Accounts (HSAs). These accounts are similar, but there are some critical differences. Dependent care FSAs. These accounts operate just like health care FSAs, except that distributions must be used for qualified dependent care expenses. The funds may cover expenses of caring for a child under age 13 or a dependent who is physically or mentally incapable of self-care (for example, an elderly relative with Alzheimer’s Disease). The annual limit for contributions to a dependent care FSA is $5,000. (This figure isn’t indexed for inflation.) Unlike health care expenses, which generally aren’t easily predictable, you’ll probably have a better idea of your dependent care expenses for the year. For instance, if you regularly pay $100 a week for care of your children with two weeks “off” for vacation, you might contribute the maximum $5,000 to your account. Wages paid to a housekeeper who also watches the children. Conversely, you can’t use the FSA to pay for food, clothing and entertainment, child support, educational supplies, overnight camp, or cooking and cleaning services not provided by a caregiver. You also can’t just pay your older child for watching the younger kids out of your dependent care FSA. Have you considered an HSA? Health Savings Accounts (HSAs) are similar to IRAs that can be used to pay health care expenses before retirement. Individuals may deduct contributions to an HSA or an employer can make tax-deductible contributions to HSAs on behalf of its employees. As with FSAs, distributions for qualified expenses are exempt from tax. You don’t receive coverage under another health plan. Finally, unlike a health care FSA, there’s no use-it-or-lose it rule for HSAs. The money contributed to your account is yours to keep. It may not be necessary to empty out your FSAs by year end if your employer has authorized a special grace period or carryover. The grace period can last for up to 2½ months. For example, you might be allowed to use the balance in your accounts at the end of 2016 as late as March 15, 2017. Alternatively, an employer may allow you to carry over up to $500 of unused funds to next year. But any excess is then forfeited. Note that this is an “either-or” proposition. An employer can allow employees to benefit from either the grace period or the carryover rule — but not both. If you have a balance in your FSAs and must use the funds before year end or lose them, consider accelerating elective expenses you had earmarked for 2017. For example, if you were intending to buy new eyeglasses next year, order them before year end. Similarly, you could reschedule a physical exam or a dental cleaning from January to December. However, with medical expenses, you rarely have control over the timing of most items. It’s also critical to make a reasonable estimate of your costs for next year. As mentioned above, this may be relatively easy to do for dependent care expenses, especially if your costs are fixed. For a health care FSA, look back at your past history to get a rough idea of your annual out-of-pocket costs and factor in anticipated expenses, such as a surgery for a chronic hip problem or prescription sunglasses. Many people choose to err on the high side, especially if their employer has authorized a grace period or carryover. After you submit the necessary paperwork to your human resource department or enroll online, you can relax and enjoy the holidays. If you have questions about these accounts during the enrollment process, contact your tax and financial advisors. This entry was posted in Industry News on March 16, 2017 by Brian at Mackmedia.